Our cost effective colour edged photo block features a quality photographic print and black edged lightweight block. With an innovative design you can either display using the detachable plastic stand or hang on a wall. Available in various sizes and very low minimums. 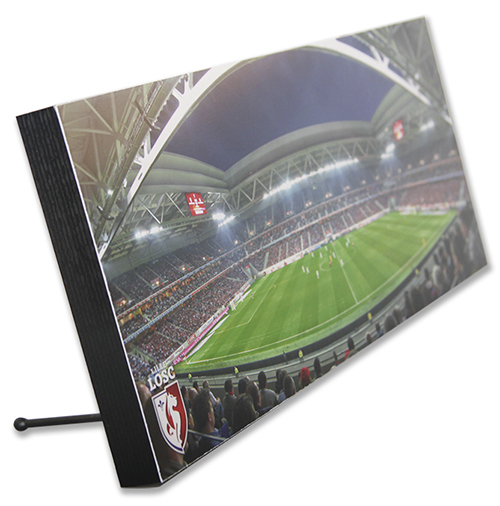 All sizes come complete with pre drilled holes on the back of the panel for easy hanging and smaller sizes come complete with a desk stand for table top display. supplied with 2 plastic stands for displaying on flat surfaces.